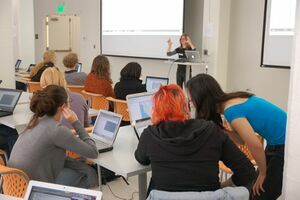 Welcome to the third Boston Python Workshop: a project-driven introduction to Python for women and their friends! 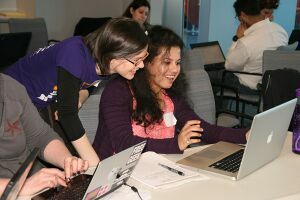 This workshop is running on the evening of Friday, July 8th, and all day Saturday, July 9th at Google in Cambridge, MA. 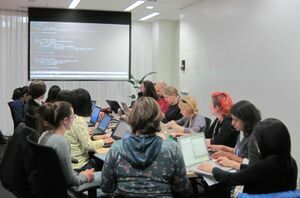 Saturday morning setup, 9:30am-10am: settle in (Google is providing tea and coffee! ), get your laptop set up, and review Friday's material. We will start the lecture promptly at 10. Saturday lunch, noon-1pm: provided by Google! You will need to sign Google's standard visitor NDA upon arrival on Friday. There is metered parking with a 2 hour maximum along Main Street and Ames Street by 5 Cambridge Center (you don't need meters after 8pm, so this might be a good option for Friday evening, but not Saturday). There is paid garage parking at 1 Kendall Square (by the Kendall Square Cinema) and at 5 Cambridge Center. Google is providing lunch on Saturday. If you have dietary restrictions, please include them with your RSVP to the event or e-mail us as you RSVP. ITA Software tweets as @itasoftware and is on Facebook at http://www.facebook.com/itasoftware. Google tweets as @google and is on Facebook at http://www.facebook.com/Google. This page was last edited on 24 September 2011, at 12:58.